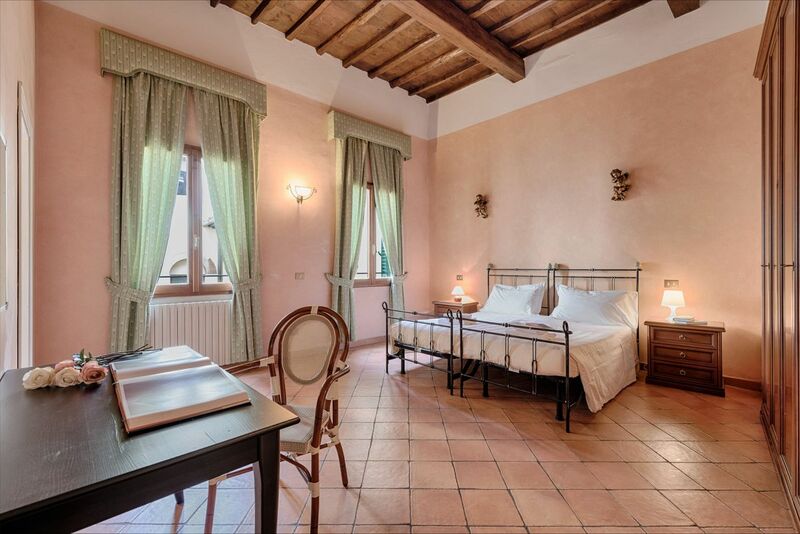 Located in the heart of the historic city center, Central Strozzi makes for and ideal starting point to explore the city of Florence. 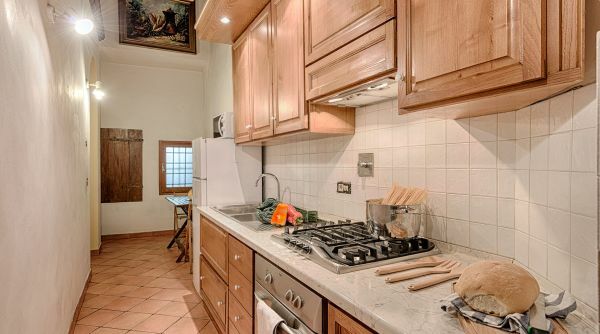 The apartment is situated just steps away from Palazzo Strozzi, once considered the most magnificent Renaissance palace of the city, and now one of Florence's most respected museums. 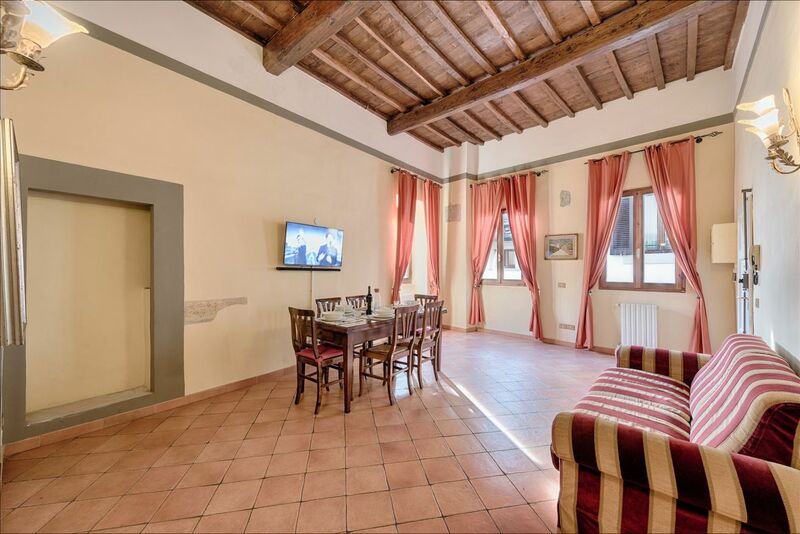 Within minutes guests can visit Piazza della Signoria, Piazza del Duomo, or any of the other maginificent sights the city has to offer. 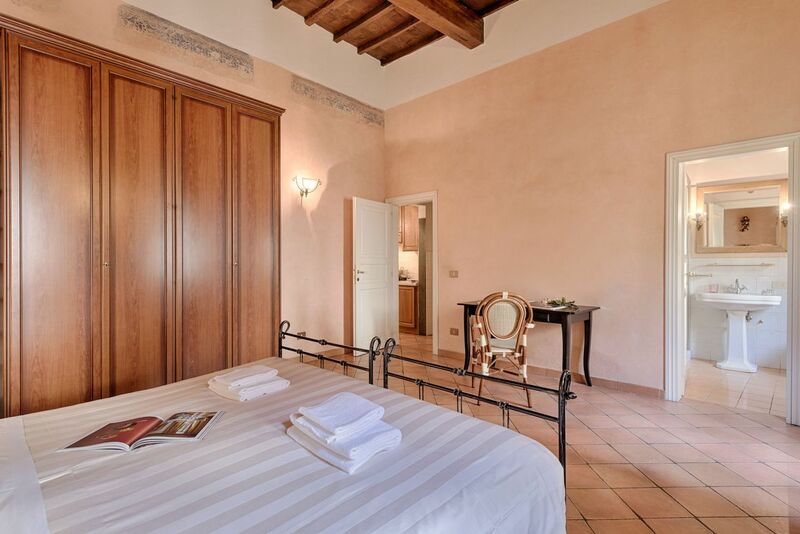 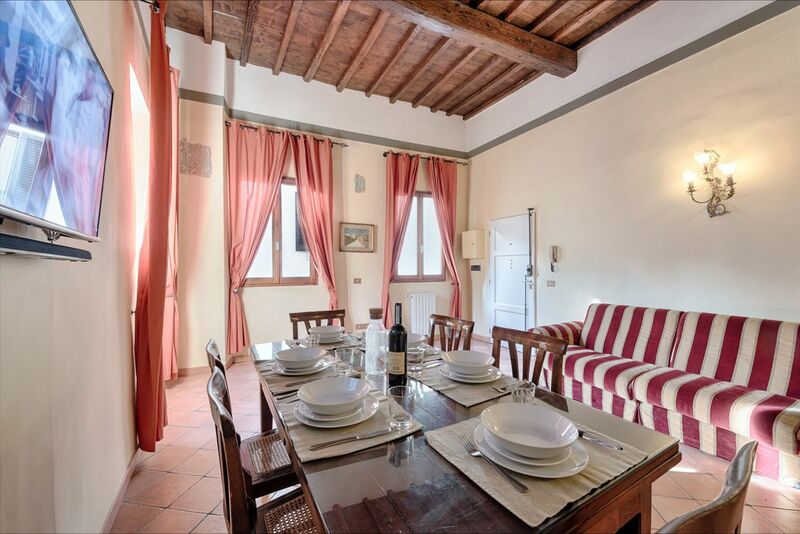 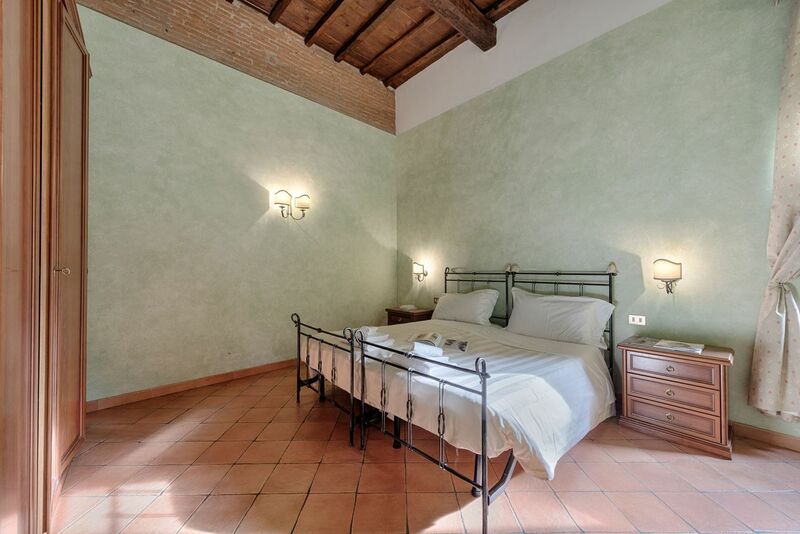 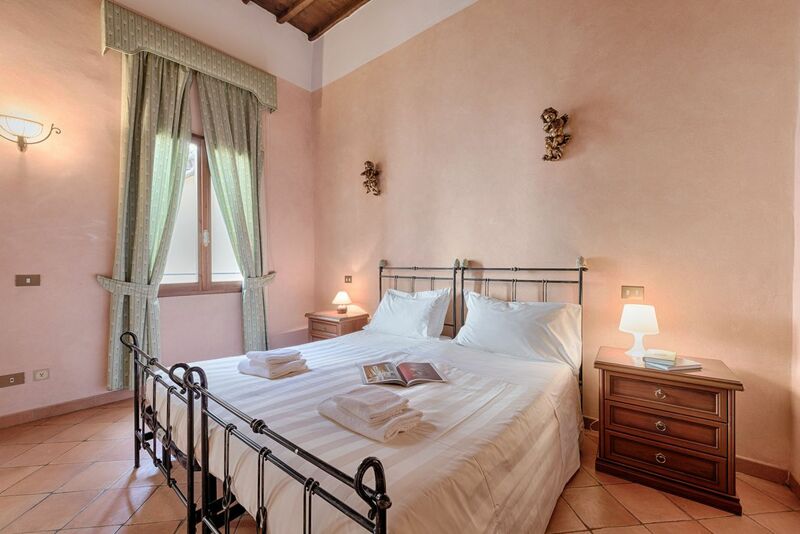 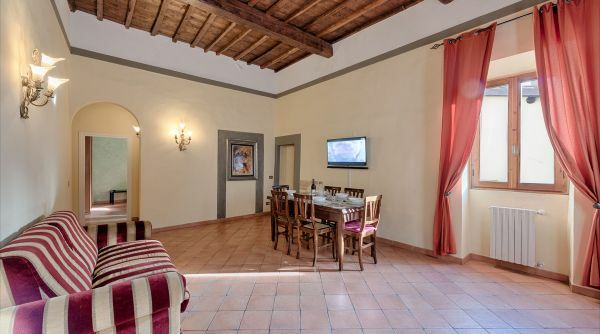 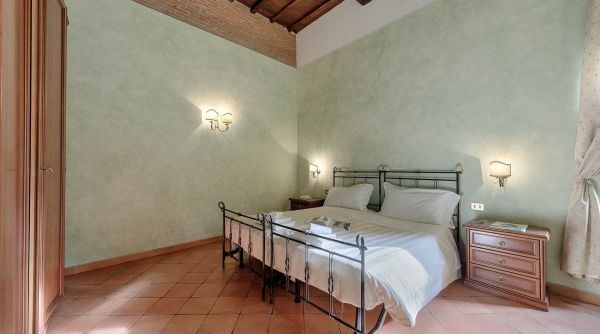 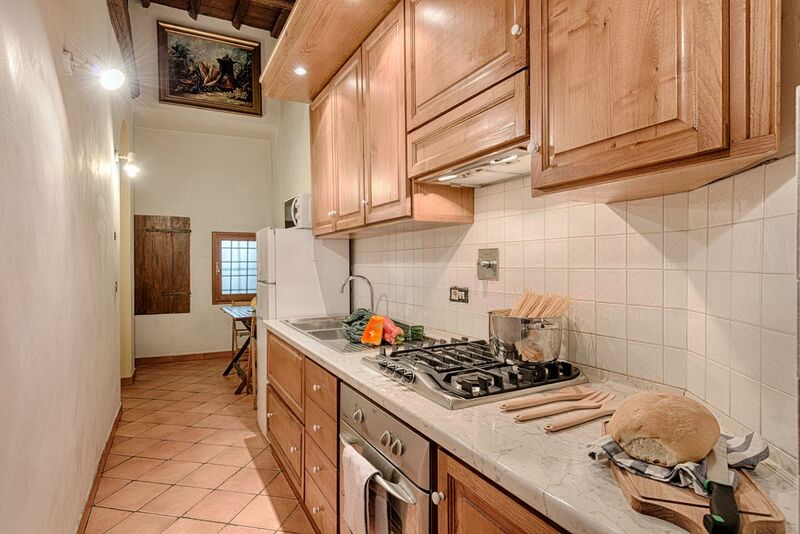 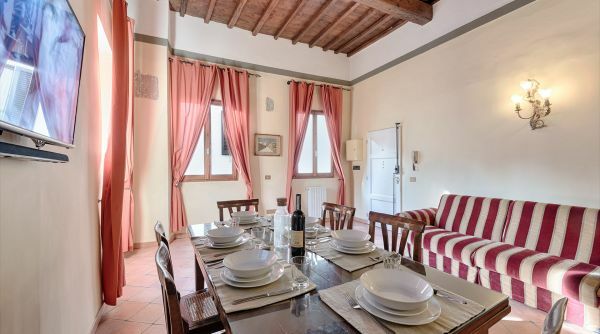 Central Strozzi projects classic Tuscan charm through-out with exposed wooden beam ceilings and terracotta floors. 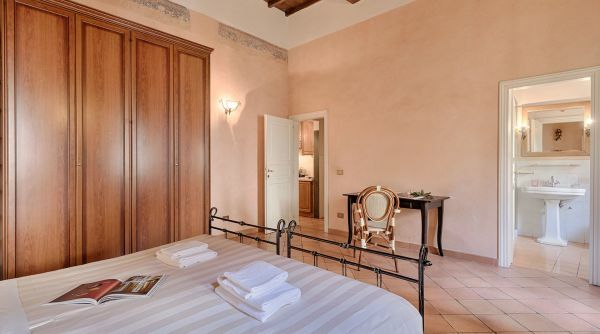 Guests will be able to immerse themselves in the centuries of history evident in the grand Renaissance palazzi that fill the neighborhood while enjoying the modern comforts of the property. 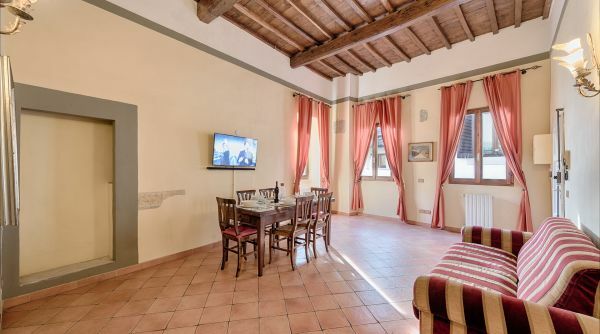 The spacious apartment is composed of an ample living room furnished with a sofa, television, and dining table, two comfortable and stylish double bedrooms, a well equipped kitchen, and two large complete bathrooms with shower. 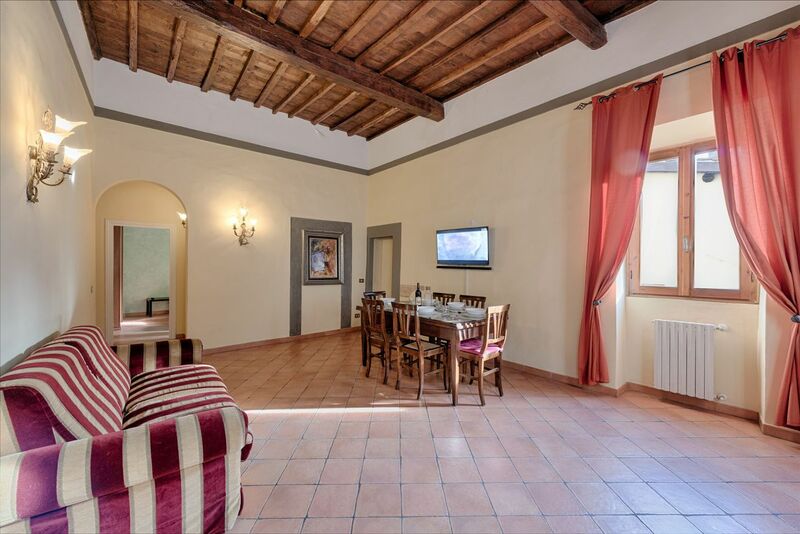 Central Strozzi is located on the third floor of a historic building, without an elevator. 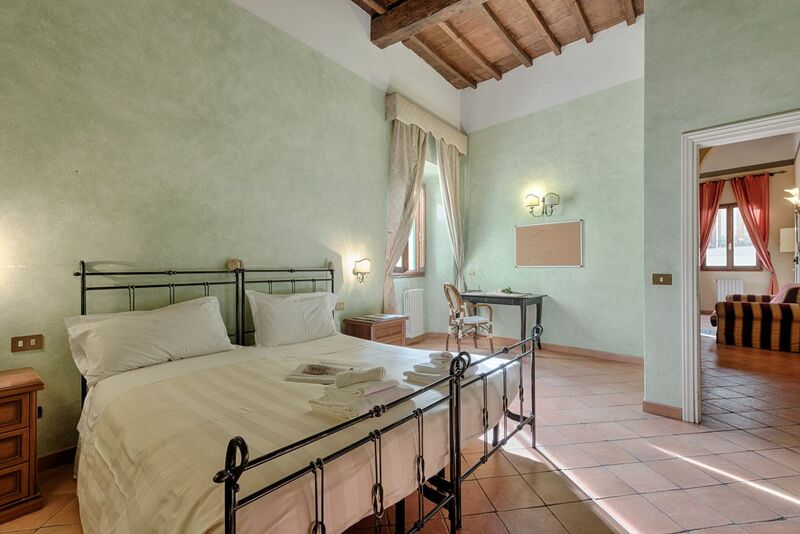 The elevated position of the apartment allows guests to admire the historical neighborhood from a rare and enviable insider's perspective. 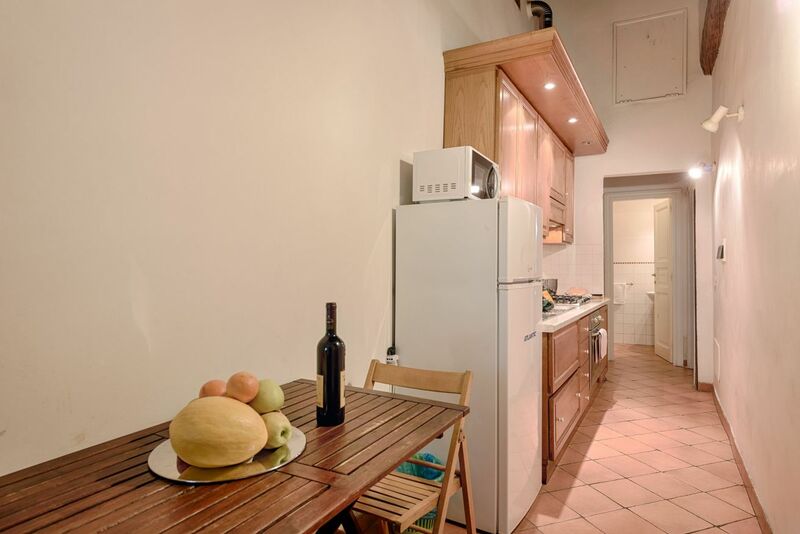 The apartment includes unlimited wifi and independant heating. 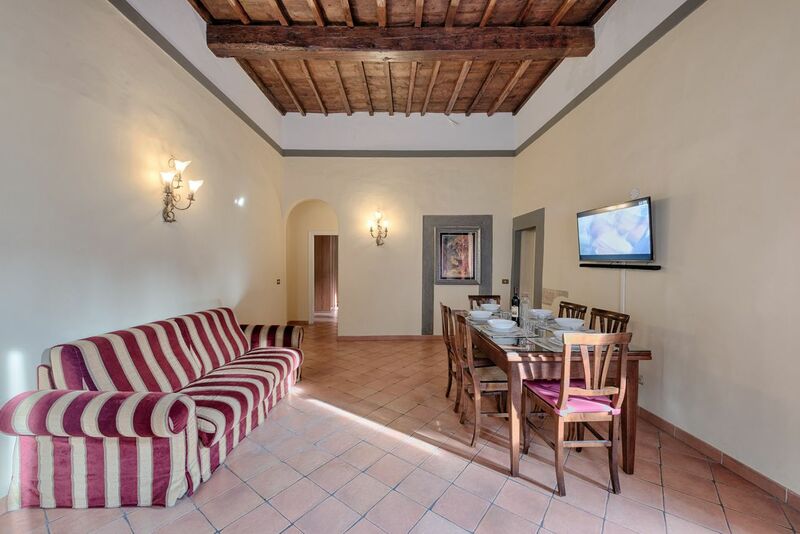 The presigious position of Central Strozzi is hard to beat. 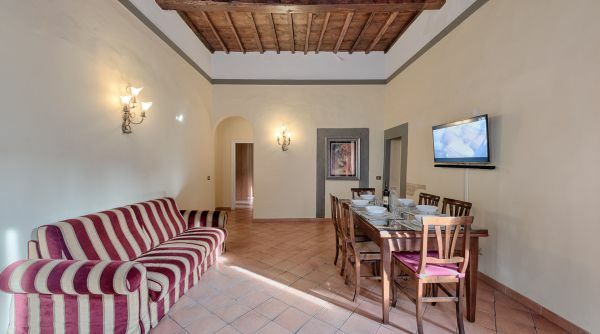 The city's main monuments of the city are within the radius of a kilometre, including the Duomo, the Ponte Vecchio, the Uffizi Gallery, and Piazza della Signoria. 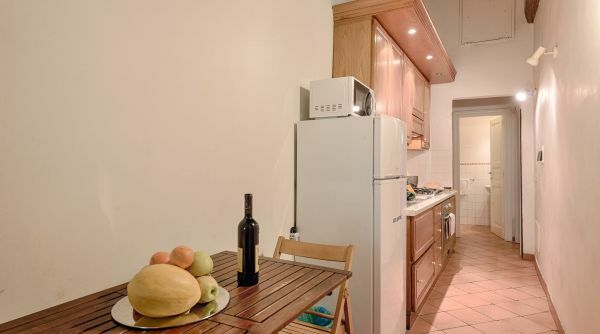 The apartment is perfect for those planning to explore all of the delightful sights the city has to offer. 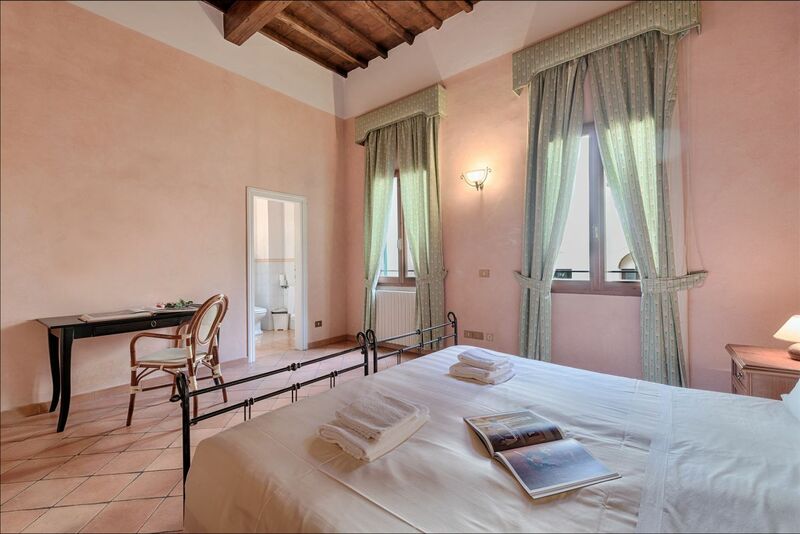 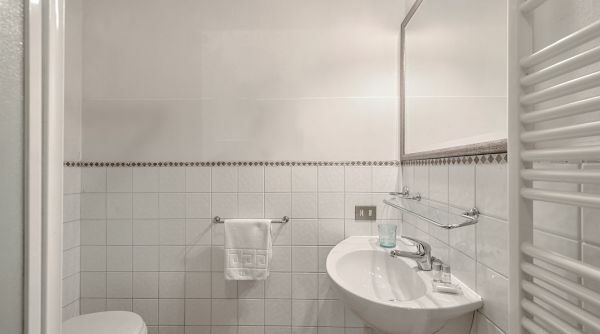 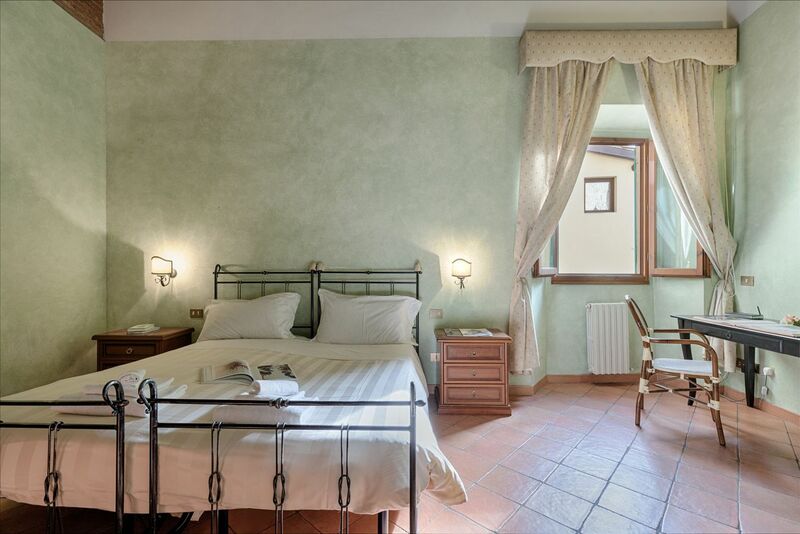 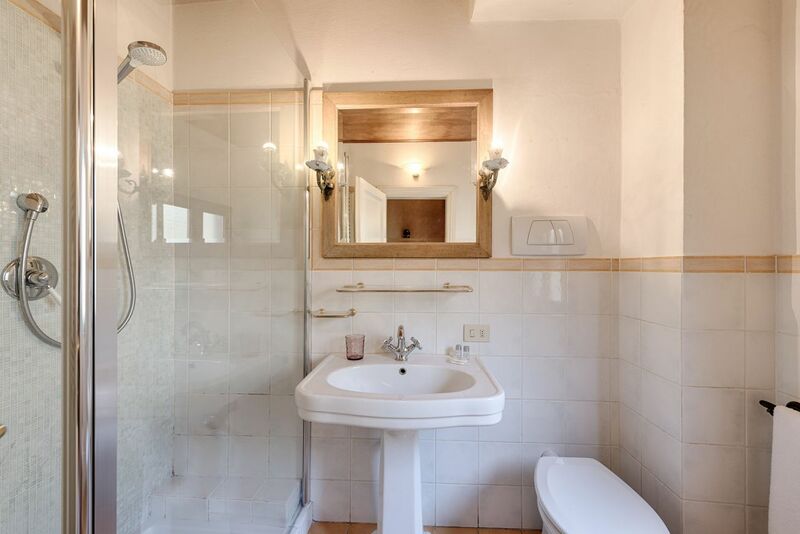 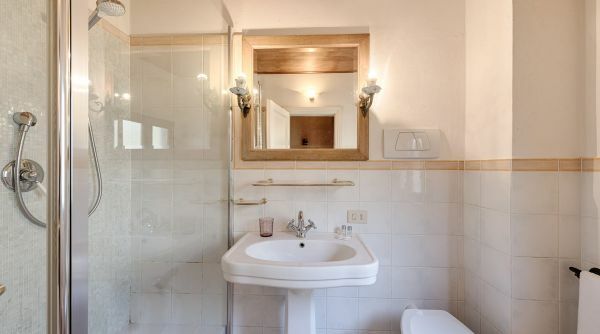 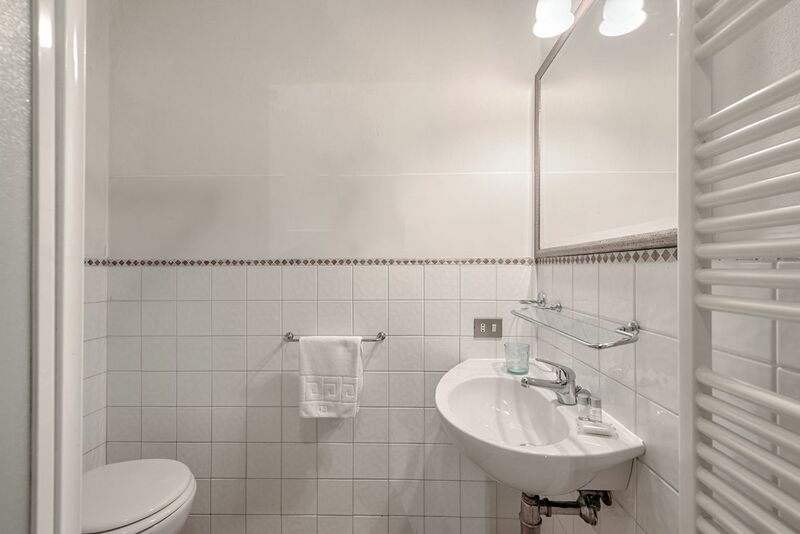 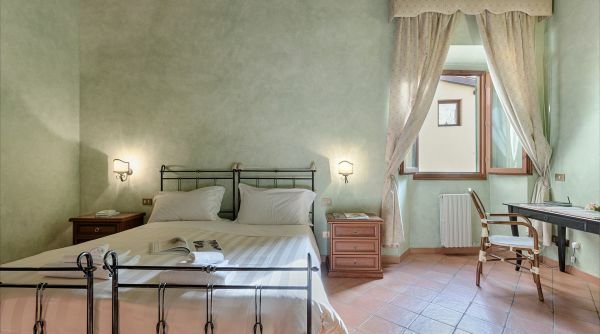 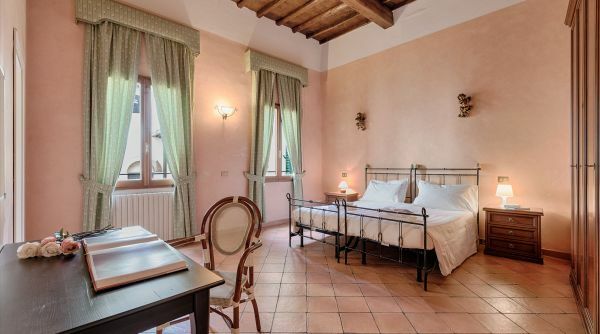 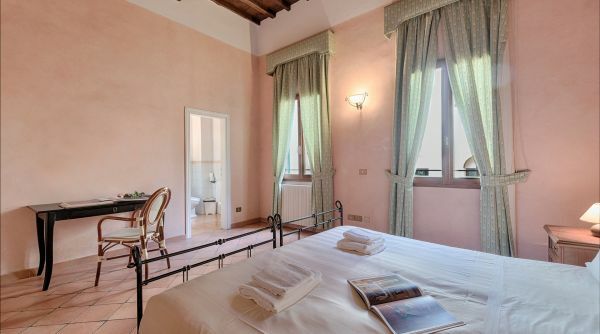 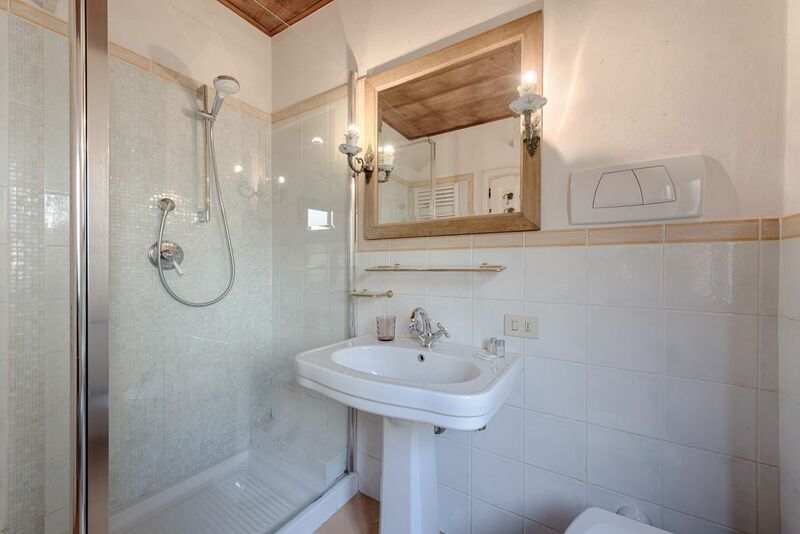 Located just 900 metres from Santa Maria Novella, the main train station of Florence, so guests can arrive by foot. 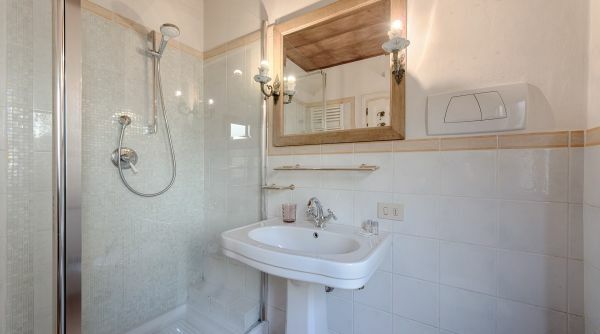 Alternatively, take one of the taxis waiting outside the station and arrive at the apartment in few minutes.